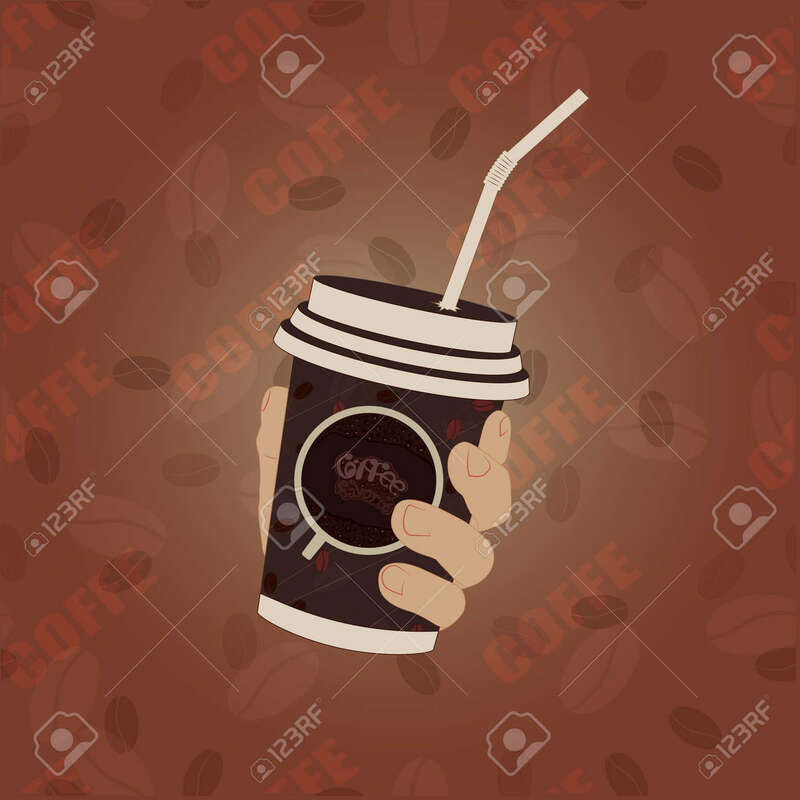 Coffee In A Plastic Cup With A Tube On A White Background. The Hand Holds A Plastic Cup With A Lid. The Hand Holds A Plastic Cup With A Lid And A Tube. Lizenzfrei Nutzbare Vektorgrafiken, Clip Arts, Illustrationen. Image 107966535.